The Ba is one of the metaphysical components of the human (and other) beings. The Ba is immortal. When the Ba departs, the body dies. 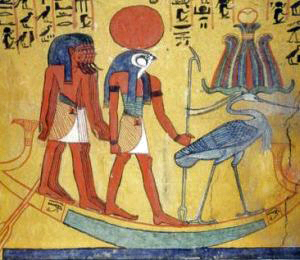 The Ba is represented as a human-headed bird, which is the opposite of the normal depiction of neteru (gods, goddesses) as human bodies with animal heads—in other words, as the divine aspect of the terrestrial. The Ba may be shown as a stork or as a falcon. The stork is known for its migrating and homing instinct. The stork is known worldwide as the bird that carries newborn babies to their new families. The stork returns to its own nest with consistent precision – hence a migratory bird, par excellence, is the bird chosen for the soul. ‘Ba’ is usually translated as ‘soul’. Bennu is represented as a flying bird—as a composite heron and stork, or as a composite of the falcon and stork. The stork is known for its migrating and homing instinct, and is also known worldwide as the bird that carries newborn babies to their new families. 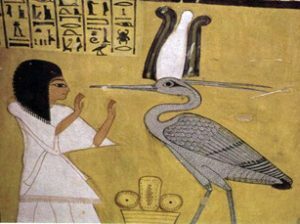 Bennu, in the form of stork, brings a New Life. The stork returns to its own nest with consistent precision—hence, a migratory bird is the perfect choice to represent the soul returning to the Source. At the Source, Bennu is depicted perched on Benben, the symbol of the primeval hill. In this regard, Bennu is the Phoenix rising from the ashes of Benben to start another life. It is a continuous cycle of bringing forth and returning to the Source. 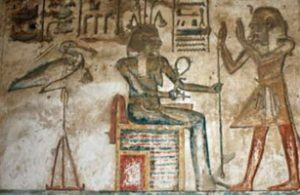 Bennu, as such, is a symbol of resurrection, and there were formulae instructing the deceased on how to become the Bennu. 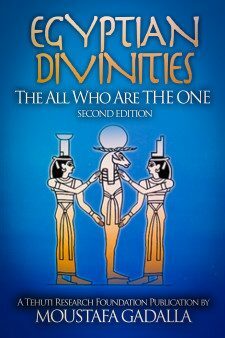 Osiris represents the divine in a mortal form that lives, dies, and is reborn again. It is therefore that the soul of Osiris dwells in the bird Bennu—who is always found near scenes of resurrection. 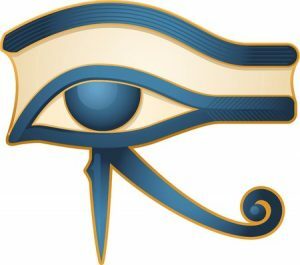 Every deceased person is Osiris, that will be resurrected and reborn again. For Bennu will lead all as the resurrected Osiris—being Horus and his disciples – to the Source.